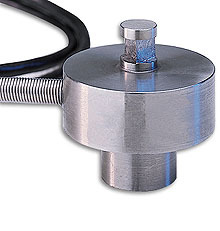 OMEGA’s TQ201 Series Torque Sensors are in-line mount reaction torque sensors. The TQ201 is designed to be mounted to the torque producing element, to measure the starting torque of motors. The TQ201 is also available in metric configurations, with ranges from 0-0.175 to 0-113 N-m. Please see the TQM201 for complete details, or contact our Sales department for more information.